Let’s face it, most of us winning feels awesome. It’s understandable to play the game for fun. However, winning at pickleball just feels better. And there is nothing like the feeling when you get as you see yourself improving at the game and beating better and better opponents. Today, I’m going to share some general tips that you should follow to get ahead of other beginners on your level. Take these tips into account and I personally guarantee you will get a running head start when compared to your peers. Expect the unexpected, be ready! Always be in the ready position. What is the ready position you ask? Your feet should be shoulder width apart and gripped on the surface tightly. 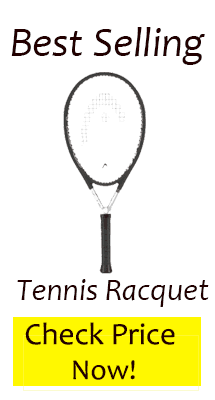 Point the racket forward while keeping it sideways, in the ready position. Keep it upright so that you can quickly switch from backhand to forehand as the ball comes your way. One of the most important aspects of getting better is consistency. You need to be playing pickleball 3 -4 times a week. One of the best things to remember is go into practice with a purpose! Every practice you should be focusing on some aspect of your game that you want to make better. Maybe it’s your volleys or serves but focus on one singular aspect. Dinking is an intermediate skill that is necessary for your game.Most people don’t give it enough importance and learn it merely through repetition and experience rather than trained learning. A dink is like a drop shot in tennis. It forces your aggressive opponent into the soft game where you can use your strategy and placement to win over raw power. You can do so by forcing them to make errors if they use the power. Don’t be afraid to be close to the net if you’ve learned the dink shot. Stop as soon as your opponent starts to hit the ball. But until then, move ahead and be ready to take the ball early and keep your opponent on their toes. You also get lots of opportunities to hit winning shots right from behind the kitchen line. Just don’t step on the line or in the kitchen to avoid non-volley zone fault. The Wiffle ball has holes which allow you to observe the spin placed on the ball. The placement of their paddle and the movement of their stroke should give you a hint of where the ball will drop in your court. You should be able to figure this out after a couple months left playing pickleball. This goes without saying, stay in touch with your partner at all times and learn to play as a team. You don’t want to collide within yourselves and you don’t want to be toxic and degrade your teammate. Stay friendly, cool and calm and grow with your teammate. High-level players are proficient in their fluid and compact strokes to hit the winners from the baseline in fact. Practice makes a man perfect. There’s never an alternative for practice. It’s only through experience and repetition of shot, that you can make these tip a second nature to you. Typically I like to say that the man makes the paddle not the paddle makes the man. But in pickleball, your choice of paddle can seriously hold you back. As a beginner, get yourself a polymer constructed pickleball paddle. It should cost somewhere between $30 – $70. If you’re looking on Amazon, I’ve written my top picks here. A polymer paddle is the best for beginners in terms of it’s mixture of durability, strength, and spin. I can’t emphasize enough about how much difference a pair of good shoes can make. The worst mistakes amateur players make is to step in the court wearing a pair of ordinary running shoes or sneakers. In a nutshell, wear whatever you’re most comfortable with. Your apparel should allow the best movement of your arms, torso, and legs. You should be able to do so while keeping your temperatures stable without letting the climate effect.